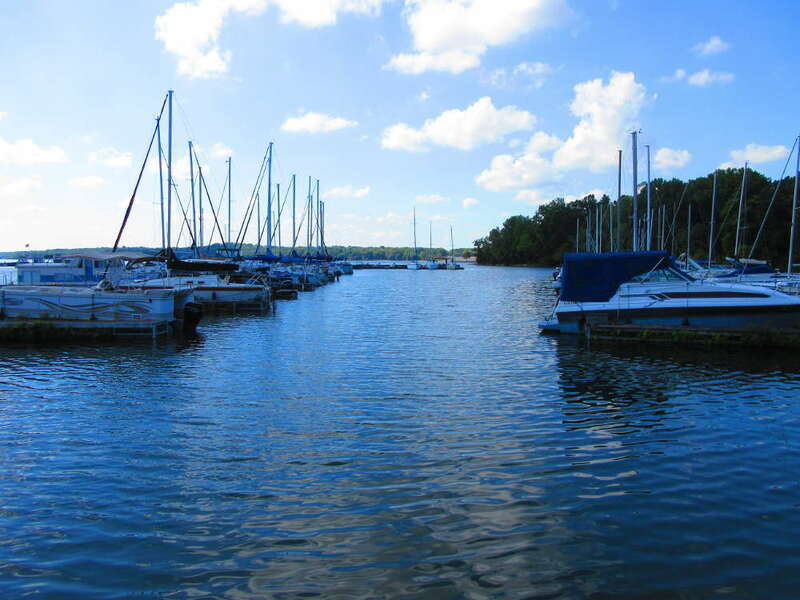 Four Corners Marina, the home of Four Corners Yacht Club, is a full service marina on Percy Priest Lake. Besides offering boat slips for rent, the marina has a variety of boats available for rent. The rental inventory includes 30-foot pontoon boats and Starcraft deck boats. The 30-foot pontoon boats can accommodate as many as 15 people and include a slide for a day of fun on the water. A new ship store offers souvenirs, snacks, cold drinks, boating supplies, fishing supplies and more. Boat slips are available with an annual lease. The covered boat slips can accommodate boats ranging from 20 feet to 80 feet in length. Discounts are available if the entire year’s rent is paid in advance. The cost of boat rentals is determined by the hours of usage plus the cost of the gas used. Specials are available for advance rental reservations. Four Corners Marina is spacious with the room to accommodate hundreds of boats. Cajun Cove Restaurant at the marina serves breakfast, lunch and dinner. Don’t worry about running out of fuel. The fueling station even has 50-foot long hoses to make gassing up your boat easier. For more information about the marina, call (615) 641-9523.